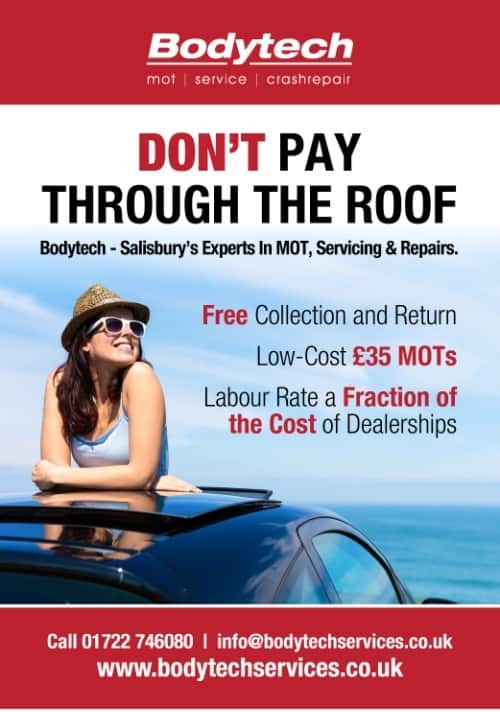 Bodytech Services, based on the outskirts of Salisbury in Wiltshire, is a car service centre and bodyshop. When the client approached us, they had a dated brand with no consistency across marketing materials. They had an old website that they couldn’t edit themselves and an over-reliance on print advertising. We refreshed the brand and simplified the logo, whilst keeping the core colours to ensure that any previous brand awareness wasn’t undone. We created a new website design and built it using WordPress content management system, giving the client complete control of any future website edits. View the Bodytech website www.bodytechservices.co.uk. Bodytech are slightly off the beaten track, so we built our marketing strategy on getting in front of the customer during point of research, and the most effective way we could do this was PPC and website optimisation (SEO). Customer retention was also important, and we delivered an email marketing programme, and up-sell initiatives to target current customers. We’re also responsible for Bodytech’s ongoing graphic design work. The client has reported that the vast majority of new customers are generated online via the website and PPC. Significant improvement in communication with customers, by retaining their email address and phone number, we can provide service based messages such as MOT reminders as well as promotional ‘up-sell’ messages. Modernisation of a dated brand.